carving out a path along this stretch of the landscape. 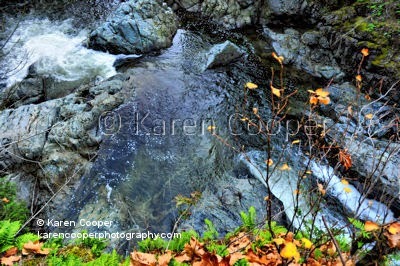 with the rushing waters of today's Sooke River. And Sooke Potholes was born. a variety of water and shore birds. Vancouver Island. And definitely worth a visit. eventually into Juan de Fuca Strait. easily accessible for all ages and fitness levels. put you in the heart of the park. And some pretty spectacular scenery. Hi Robin --- well worth the trip. The whole area is very West Coast charming!